Dear visitor of the K-Mount Page, yes, it’s true: you are looking at the new KMP. We have transfered the contents of Bojidar Dimitrov’s original KMP to this new WordPress site, where it will reside from now on. Bojidar and his co-authors have done an unbelievable job over many years. 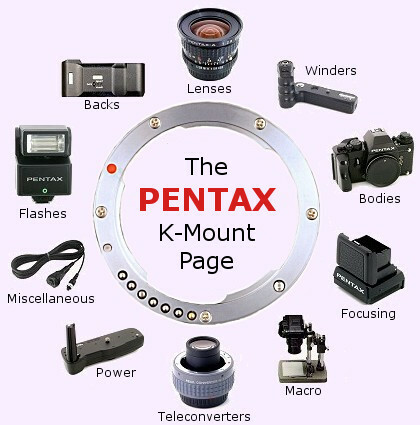 We, the German Pentaxians, hope that we can continue his work as a service to all who like Pentax. Together with others who help us we hope to be able to continue Bojidar’s great work. Precisely as under Bojidar, every kind of help and input is not only deeply appreciated but also needed, so please do not hesitate to contact us if you have comments or information that may be useful. However, first and foremost, we hope that you will enjoy the new KMP! Unless explicitly noted otherwise, all evaluations and personal opinions expressed in first person singular are taken from Bojidar’s original KMP and reflect his personal views. Furthermore, for much of the content inherited from the original KMP the copyright situation is unclear. Should you be the copyright holder of material presented on any of the KMP pages, please do not hesitate to contact us if you want us to remove that material, or if you would like us to add a missing acknowledgment.